The 'Niners will play eight teams from last year's NCAA bracket, including UCLA, Harvard, and San Diego. Photo above courtesy of Juxtapoz. Rendering below courtesy of the DLBA. First came the rainbows. Then came the piano keys. 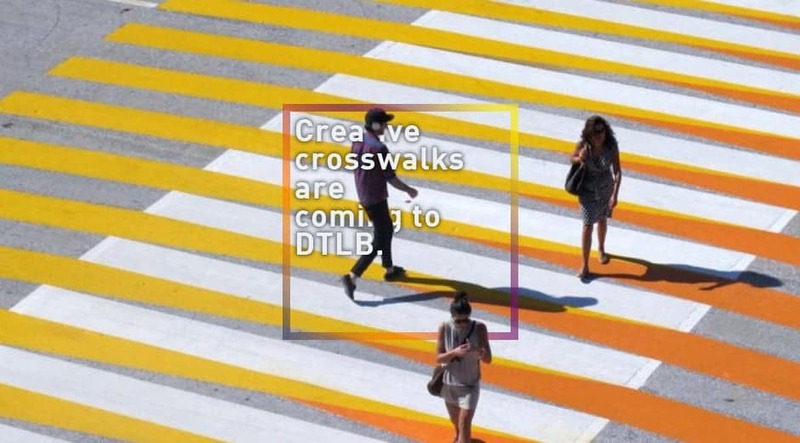 Now, more creative crosswalks will invade the streets of Long Beach and this time, DTLB will be the latest neighborhood to blessed with the artistic crossings. After its initial call for artists back in 2015, the Downtown Long Beach Alliance (DLBA) has ditched its original choice to head the project, environmental designer and artist Kipp Kobayashi, in favor of Los Angeles-based surrealist pop artist Hataya Tubtim. Announced earlier this week, Tubtim will oversee the design for pedestrian crosswalks at 6 mid-block crossings along Pine Avenue in DTLB, like the one pictured in Miami above. While not formally approved yet by City officials, the DLBA hopes to begin installing them this month.